Tags: "Annie's Blue Ribbon General Store", "Dads are the Original Hipsters"
Father’s Day will be here in a few weeks, which reminds me of this hilarious book (based off the blog with the same name)- Dads are the Original Hipsters. We have it on our front table and we have gotten so many comments saying- THAT IS TOTALLY MY DAD!! The book is awesome- with vintage photos of real dads back in the day—in their short shorts and tight tees playing arcade games that accompany snarky captions that at once tip a cap to Dad’s glory days and poke fun at modern hipsters. It’s a gem. 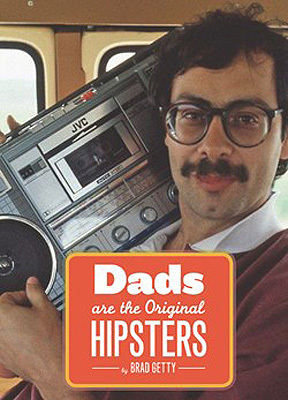 Dads are the Original Hipsters– $12.95. Tags: "Annie's Blue Ribbon General Store", "beer deck", "beer growler", "father's day gifts", "stainless steel growler"
It’s me, Jess! Did you miss me? Did you even know I was gone?? While I was out visiting family in the verdant Midwest we got some amazing new products. 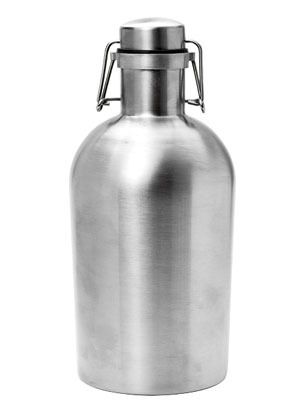 I’m a bit of a craft beer fanatic (and spent much of my time in Indiana trying out local brews) so my favorite is the Stainless Steel Growler! I have a collection of growlers at home that I never use because I don’t want to haul around the heavy glass bottle. Stainless steel is lightweight and keeps the beer cold longer than glass, and the smooth swing-top lid will keep it fresher, longer. And if you are on the clumsy side there’s no worry of dropping and shattering your precious liquid gold. This would be a great Father’s Day gift, especially along with our new Beer Deck, or for any beer lover in your life! Tags: "Annie's Blue Ribbon General Store", "Word Notebooks"
Loving these new little notebooks by Word. Notebooks. True story – a nice British couple WALKED all the way here from Williamsburg yesterday since apparently we’re the only store in NYC that carries them and they are the couple’s favorite notebooks to use. Word. Notebooks are designed to help organize your life while looking good in the process. 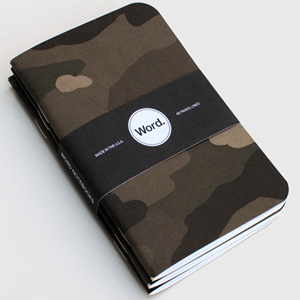 Each pocket notebook features 48 pages of lined paper with the unique Word. bullet point system. Speaking of the British, we’ve actually had a few Brits in over the weekend. I love that guidebooks now say that Brooklyn’s where it’s at! 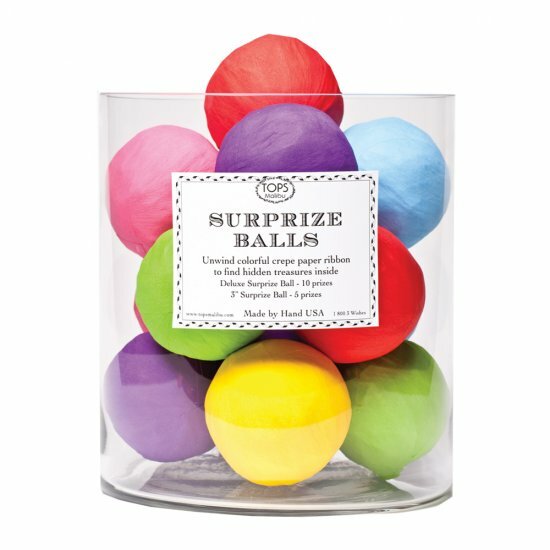 Tags: "Annie's Blue Ribbon General Store", "The National Stationery Show", "Tops Malibu"
Tops Malibu Surprize Balls $4.00 each. Swimming in a sea of stationery and letterpress may be overwhelming, especially on an interns second day! Walking up and down row after row of stalls may also cause sensory overload even though everything is so fabulous. Yet despite the gorgeous and ridiculously adorable cards, prints and calendars, one stall definitely stole the show: Tops Malibu. Featuring a range of products for party and play, Tops Malibu combines the beauty and simplicity of old-fashioned trinkets and treats while adding a creative and colorful twist making them a hit with adults and children alike. From their golden sparklers, to their candy colored pea-shooters, they truly are a unique and exciting company. But of everything I saw at their dazzling display, my favorite Tops Malibu products have to be their Surprize Balls. Simply unwrap the colorful layers or to find an assortment of goodies, games, charms, candies and more! They’re perfect for parties and party favors, or if you just want to give yourself a little treat. We’re getting them in shortly, so be on the lookout! Banana Savers SAVED the day! Tags: "Annie's Blue Ribbon General Store", "bananasaver"
It was another crazy fun day over here at the General Store– especially thanks to these fun girls. 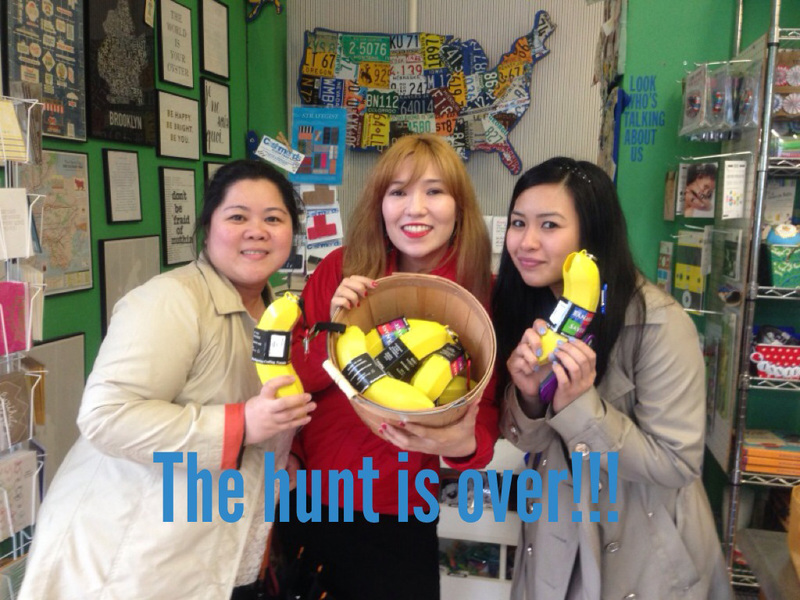 Sabrina (in the middle) called a few times this afternoon confirming we had Bananasavers in stock– and YES, of course we did. These lovely ladies were on a hunt for them and drove all over Manhattan looking for them (they were soo excited, they asked me to take their picture!). Luckily, thanks to asking around and google, they found us and they bought almost our whole stash (don’t worry, we will reorder tmrw). I carry mine everywhere and it is literally one of the most asked about products in the shop. Get one (or 10 or 20!) for yourself! Bananasavers (with carabiners)– $8. Tags: "Annie's Blue Ribbon General Store", "mason shaker"
Just in time for the weekend is the coolest cocktail shaker since…..ever. The classic Mason jar has been updated with a special 3 piece lid, perfect for shaking up a classic cocktail or an original creation! Check out my favorite summer cocktail recipe below! Place the peeled cucumber slices, mint, and sugar in a cocktail shaker and muddle. Add the lime juice and gin. Fill the shaker halfway with ice and shake vigorously for 1 to 2 minutes (this seems like a long time, but it’s essential!!!!). Do you recognize this shape? If not, turn around now. This post is strictly for those of us who remember the agony of winding loose tape in a cassette using a pencil. Have you patiently waited for your favorite song to rewind before you could play it again? Have you ever owned a Cassingle? Congratulations, you get a cookie!